How to pick the most appropriate natural stone paver for outdoor decor? 1). Style: The stone should match with the style of the house or garden. Also, you are required to confirm whether you want to give a traditional, rustic or contemporary touch to space. 2). Color: A selected color should either contrast or complement walls of the house or other installations in the garden. You can opt for a single color or a combination of multiple colors to bring out the desired effect. 3). 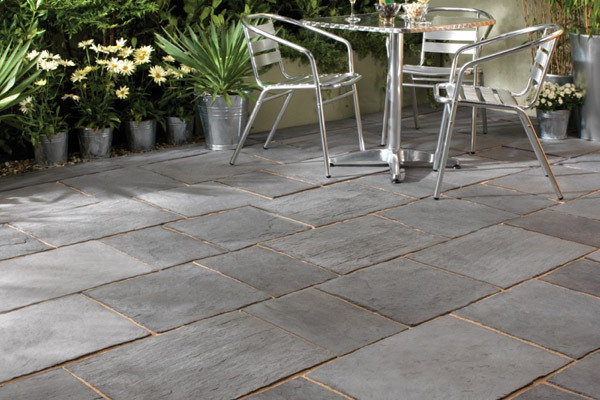 Functionality: “What is the application of the stone?” and “How much traffic or weight the stone is going to bear?” are two important questions that should instantly strike your mind while selecting the paving stone. 4). Cost: It would be interesting to know that the cost of the stone contributes to only around 20% of the total project cost with most of the money spent on other materials and labor. That means, opting for an expensive stone is not going to make much difference in your budget. The availability and price of a natural stone paver stone differ from region to region. The quantity ordered along with your distance from the place of origin of that stone are two major factors that influence the price. 1). Ideal thickness should be of 2 inches, which best supports heavy footfalls and can easily cope up with weather changes and the settling process. 2). Avoid round cobblestones and polished/honed flagstones as round cobblestones can make the path tough to walk over, while polished or honed flagstones can make the path slippery. 3). A stone with natural cleft and flat surface should be considered that can offer some grip. 4). One should also consider the color of any paving stone under moist conditions. Honey tan granite under dry conditions looks golden orange when comes in contact with water that might not be attractive for a few. 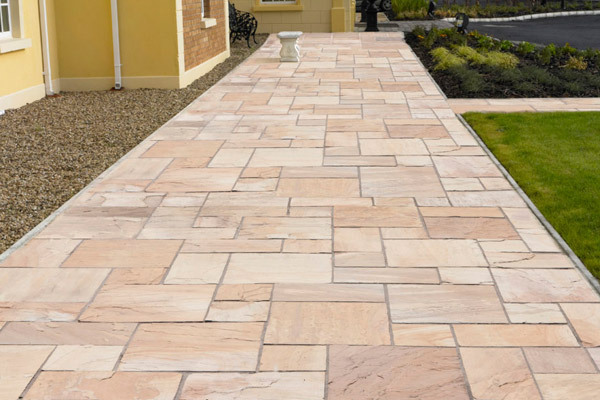 Sandstone as the Most-Popular Paving Stone: It is probably the most popular stone for garden paving. It is easy to work upon, i.e., cut and carved easily and at the same time is strong enough to be used for paving. Color variations exist in every other lot of this natural stone with rarely occurring bands of contrasting colors in every slab or piece. Gravel as a Budget-Friendly Choice: Easy to install, gravel is a perfect choice for ordinary landscapes, low-cost garden paving and temporary paving solutions. Concerns like relatively less stability beneath the foot and prone to get weedy if neglected are associated with gravel. Slate Being Acclaimed for Its Color and Texture: With eye-soothing color palettes and soft texture, this natural stone is pretty attractive. Area that observe heavy rainfall and repeated cycles of freezing and thawing are not suitable for installing slate as under such conditions chipping or flakes occur. Sheltered locations, regions with moderate climatic conditions and where rainfall doesn’t occur frequently are best suited for slate installation. 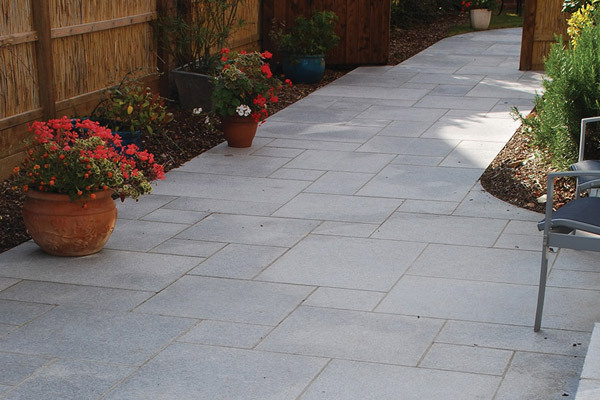 Granite as Strong and Durable Paving Stone: Perhaps the most durable among all, granite is apt for formal outdoor paving. It is generally available as cubes, brick-shaped sets and flagstone with uniform dimensions. It also offers an eclectic range of color choice. Limestone Offering Unique looks to Patios and Paths: Though its color range is somewhat limited in comparison to sandstone and granite, limestone showcases beautiful texture combined with exclusive smooth finish when worked upon. Its fine-grain structure further makes it easier to be carved and cut into different decorative pieces. However, owing to its chemical composition, limestone is more prone to acid rain-induced damages like pitting and wearing over an extended period of time. Instead of using a single material for paving, it is suggested to go for a blend of natural as well as artificial materials. This would not only help you to come up with new and innovative designs, but can also prove more practical in terms of functionality and purpose of installation. 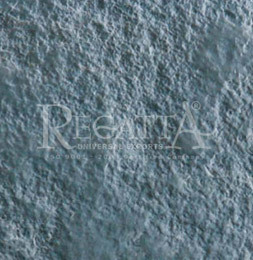 Almost all types of natural stones, including sandstone, limestone, marble, granite, slate and quartzite used for construction purposes are offered in high-quality and at affordable prices by Regatta Universal Exports, a leading Indian manufacturer and exporter of paving stones.